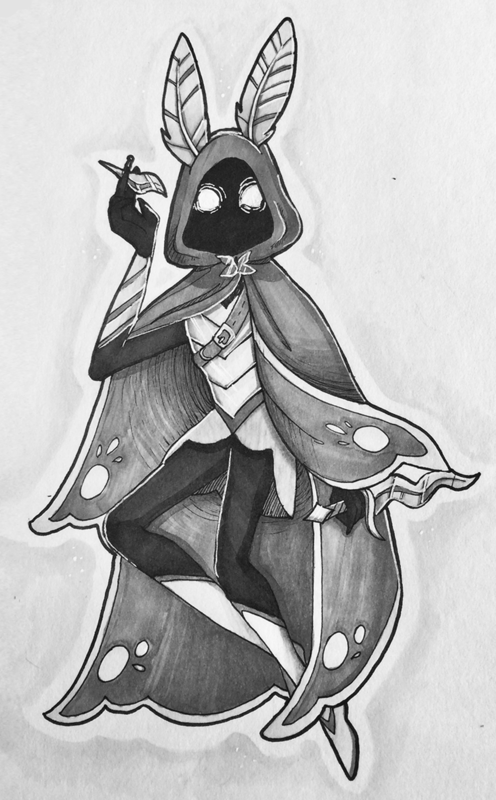 There was a challenge on the OSR Discord to make a Parasite-as-Class so...here we go. Rome apparently had some people who would live off the hospitality of others. 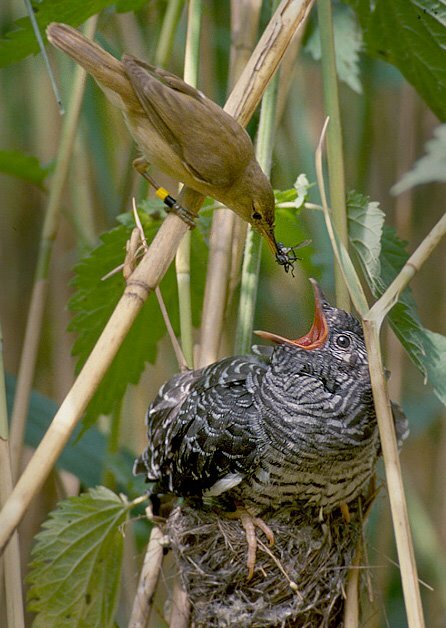 Brood Parasitism is when a parasite relies on others to raise its young- like Cuckoos. This race/class is a combination of some of those Social Parasite roles. The Cuckoo Folk have no recorded history of their own. Named after the enterprising and parasitic avian species, the Cuckoo Folk aren't involved in the upbringing of their own young. As such, they have no family structure or culture of their own, instead living off the hospitality of others. They accomplish this through the use of unique pheromones exuded by their species. These pheromones elicit a peculiar reaction in the species' chosen "host"- they are treated as a close relative or family member, regardless of available evidence to the contrary. Cuckoo Folk "hosts" will often brush aside even overwhelming evidence with casual remarks such as "They've always lived with us"- and if pressured further the hosts will eventually react with hostility towards the accuser. Host affection is so strong that a parent figure will choose to feed the Cuckoo Folk Parasite over their own children. Cuckoo Folk appear to their host groups as member of the same species with a close family resemblance. To others outside their chosen groups, they appear as slender, pale figures whose only distinct feature is the moth-like antennae that sprout from their heads. They are also hairless, and tend to dress in cloaks and clothing that disguise their features so as to avoid suspicion when interacting with those other than their hosts. There are limitations to the abilities of the Cuckoo Folk. Cuckoo Folk are limited to the number of designated "hosts" that they can manage at once, and as a result will typically limit themselves to interacting solely within a single "social circle" made up of their hosts - also called their Brood. Cuckoo Folk pheromone effects are occasionally known to fail to work in those without positive family structures- such as the rare orphan. Due to their unique abilities, it is unknown exactly how many Cuckoo Folk live among the greater populace. Brood: At first level, choose or roll randomly to determine your Brood. You have advantage on Charisma checks made when interacting with members of your Brood, and they consider you to be and treat you like a close friend or family member, even if you have never met before. You gain access to an additional Brood you choose with each Cuckoo Folk template. Social Parasite: Once per month, you may roll on the Carousing table for free as you mooch off of the hospitality of others. If a party member gains experience points from Carousing, you may gain an equal number of experience points without having to spend any money. Familial Manipulation: During downtime, you may choose to live in the home of one of your Brood. If you do so, you do not have any downtime costs and do not have to pay for food or other daily expenses. Certain Broods may be able to offer other services as well, and will do so at cost or even for free if that is something they would do for a close friend or family member. Muscle Mimicry: You can perfectly emulate a learn-able ability after seeing it performed once. You can only remember how to copy one thing at a time. Since spells are living, metaphysical beings that live inside brains you can't "copy" them, but this ability does apply to other magical effects such as rituals as long as you witness them being performed to completion. Gray Man: You can temporarily "disappear" into a group of three or more. Onlookers, even those outside of your Brood, will not recognize you and you will be treated as if you belonged to the group as a whole. This ability can be used to blend in to any group you choose, but members of the group may recognize your true nature if they are not a member of your Brood. This ability lasts as long as each group member is within five paces of one another or until one of the group members speaks to you directly. Alpha Cuckoo: Your pheromones are no longer limited to your Brood. You can always choose to appear as a close friend or family member to everyone in sight, and will escape suspicion even in the most unlikely of situations. You can walk into secret meetings and dine at the table of kings without anyone being the wiser. Members of your Brood will treat you as they would treat a trusted superior rather than a close friend or family member. Note: Broods are all over the place on purpose- I intended it so that each GM could customize a few for their own setting. As a loose rule, a brood probably shouldn't have much more than 80 or so people in it, so for larger groups the Brood abilities might only work on members from a particular region, for example. Also, I've never really done a GLOG class before, so no clue if this is balanced or not, but I hope it'll at least be fun to try!